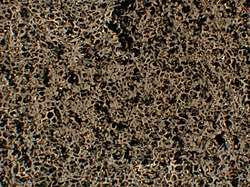 (PhysOrg.com) -- Carbon, the active ingredient in charcoal, is normally not considered a fire retardant, but researchers at the National Institute of Standards and Technology have determined that adding a small amount of carbon nanofibers to the polyurethane foams used in some upholstered furniture can reduce flammability by about 35 percent when compared to foam infused with conventional fire retardants. Laws require mattresses and upholstered furniture sold in California and used in public spaces such as hotels and offices be treated with fire retardants or barrier fabrics to minimize fire fatalities and injuries and to cut damage costs. According to the National Fire Protection Association, the total burden of fire in the United States was about $270 billion in 2005. Ten years ago, NIST scientists found that nanoclays could be used as an effective fire retardant additive, but researchers have been seeking alternatives because nanoclay flame retardants do not prevent the melting and dripping of polyurethane foam when exposed to a fire. This molten foam accelerates the burning rate by as much as 300 percent. “It also creates so much smoke that it is a life-safety hazard,” said Jeff Gilman, leader of the Materials Flammability Group in the Building and Fire Research Laboratory. Researchers added carbon nanofibers to the foam because they knew that adding nanoparticles to a polymer normally increases the viscosity, so it doesn’t flow as easily. “The carbon nanofibers help prevent the foam from dripping in a pool under the furniture and increasing the fire intensity,” Gilman said. Studies of the foam after the experiments showed that carbon nanofibers seemed to create a thermally stable, entangled network that kept the foam from dripping. NIST fire researchers have traditionally used upholstered furniture to study its flammability, but in this study, they developed a small-scale technique for evaluating the effect of dripping and pooling on foam flammability. About the size of a slice of toast, the foam samples were treated with one of six combinations of carbon nanofibers or conventional clay flame retardants. The foam “toast” was suspended vertically over a pan, ignited, and the amount of drip was measured. The foam with carbon nanofibers did not drip. “Carbon nanofibers are still more expensive than conventional flame retardant materials, but because the price is decreasing and so little needs to be used, they could soon be an affordable and effective option,” Gilman explained. NIST fire scientists will continue to study the mechanisms that reduce flammability and dripping and work with chemical companies, nano-additive suppliers, flame retardant suppliers and foam manufacturers to test new blends of foam and carbon nanofibers to improve flame retardant material. Additionally, new work is planned to develop sustainable, environmentally friendly fire retardants using cellulosic nanofibers and testing other innovative fire retardant approaches. It's too bad carbon nanofibers are suspected of acting like asbestos. I certainly don't want them in my furniture.